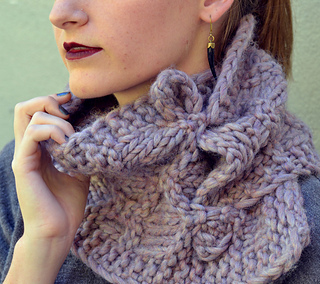 A simple slip-stitch pattern makes this chunky cowl three-dimensional and stylish. 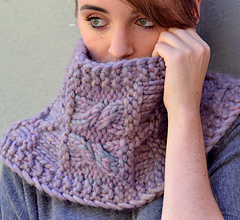 Central cable panel cinches the fabric, so the width at the back of the neck is lower. 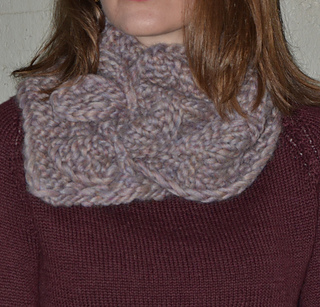 Pull the corners of the cowl through the raised stitches or use closures of your choice to change the look and circumference of the cowl. 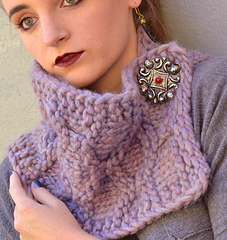 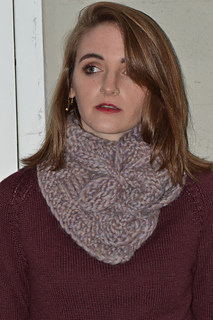 Play around with the many ways you can wear this fun cowl. 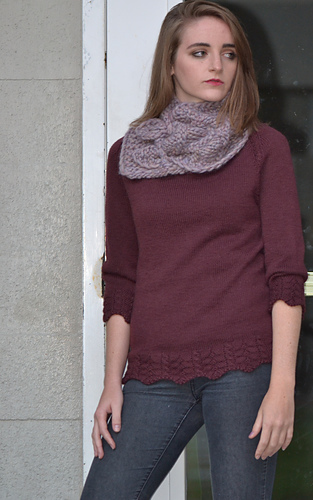 You can make it longer by adding the same repeat of rows in both slip-stitch parts. In this case more yarn is needed.